In the aftermath of the Norman Invasion of 1066, William the Conqueror was uncompromising and brutal. English society was broken apart, its systems turned on their head. What is little known is that a fractured network of guerrilla fighters took up arms against the French occupiers. 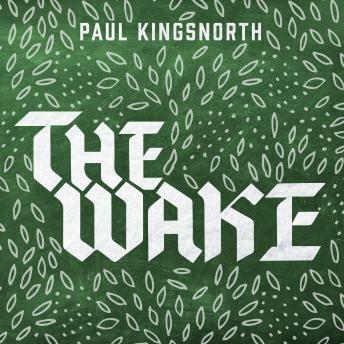 In The Wake, a postapocalyptic novel set a thousand years in the past, Paul Kingsnorth brings this dire scenario back to us through the eyes of the unforgettable Buccmaster, a proud landowner bearing witness to the end of his world. Accompanied by a band of like-minded men, Buccmaster is determined to seek revenge on the invaders. But as the men travel across the scorched English landscape, Buccmaster becomes increasingly unhinged by the immensity of his loss, and their path forward becomes increasingly unclear. Written in what the author describes as 'a shadow tongue'-a version of Old English updated so as to be understandable to a modern audience-The Wake renders the inner life of an Anglo-Saxon man with an accuracy and immediacy rare in historical fiction.